JOHN HANLON is one of New Zealand’s greatest legacy pop artists. He’s also a man with always interesting, thought-provoking views on life, the universe, everything. 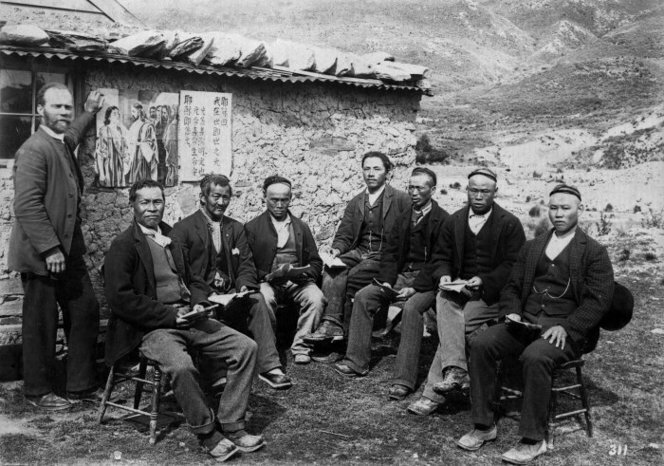 In this piece, he discusses our attitude to Asians and immigrants. If the latest polls are to be believed an increasing amount of New Zealanders would like immigration numbers to be reduced: Asian immigration in particular. Their fears (and I use the word fears deliberately), revolve around loss of jobs, increased competition for real estate and rental properties and, unsurprisingly, a degree of good old fashioned xenophobia. When I went to live in Sydney in 1981 many Aussies were moaning loudly about bloody Kiwis coming across in droves to take their jobs or bludge on the dole. (I realise these objections are polar opposites but such was the rhetoric). 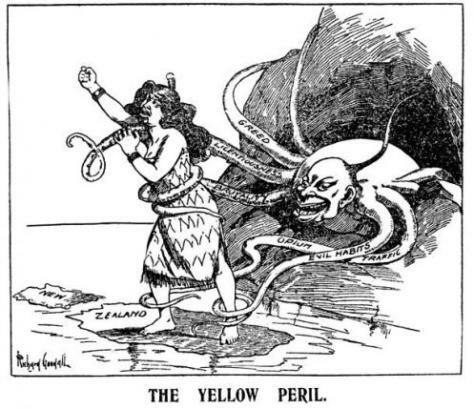 The ‘dole bludgers’ accusation was particularly inaccurate since research undertaken by a newspaper at the time (motivated by the concerns of many Australians), established that, per capita, Kiwis were the second highest earning foreign group. Highest were Hungarians — another mob of bloody immigrants. 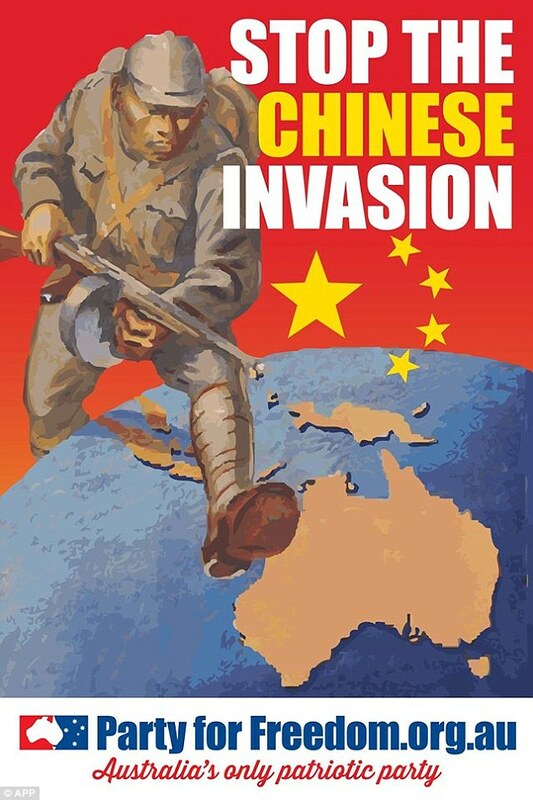 In those years there was also a fairly active STOP THE ASIAN INVASION movement in Australia with stickers and posters carrying this message visible all over the city. I had some fairly scary encounters with Aussie rednecks when, with great ceremony, I would rip such messages off lampposts and council equipment in the street. ‘Yes, I love my mother,’ I’d reply, which would inevitably go over their heads, albeit that going over the head of such morons doesn’t require you to reach any great height. Trust me when I say that, in Australia, Pauline Hanson is not Robinson Crusoe. 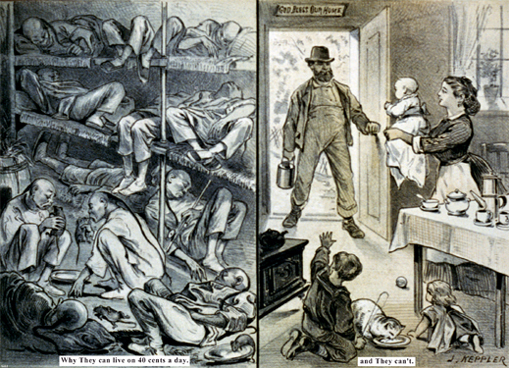 Back to present day New Zealand and, sadly, I hear the rumblings of similar discontent. A discontent that certain politicians seem eager to encourage. When a high-profile politician promotes nativism (disguised as patriotism) and unabashedly implies that immigrants, specifically Asians, are taking jobs and receiving benefits that should go to the indigenous, it tacitly endorses the kind of resentment that leads to the robbing and bashing of petrol station operators and dairy owners who, in case you hadn’t noticed, are generally Asians. Am I making too much of leap by making this connection? Do you think it’s a stretch to assume that in certain circles it’s considered okay to bash Asians? I contend that the rise and rise of Asian bashing and robbing is nothing less than a distorted form of nativism fuelled by resentment and the misguided perception that immigrants are taking things that natives should be entitled to. 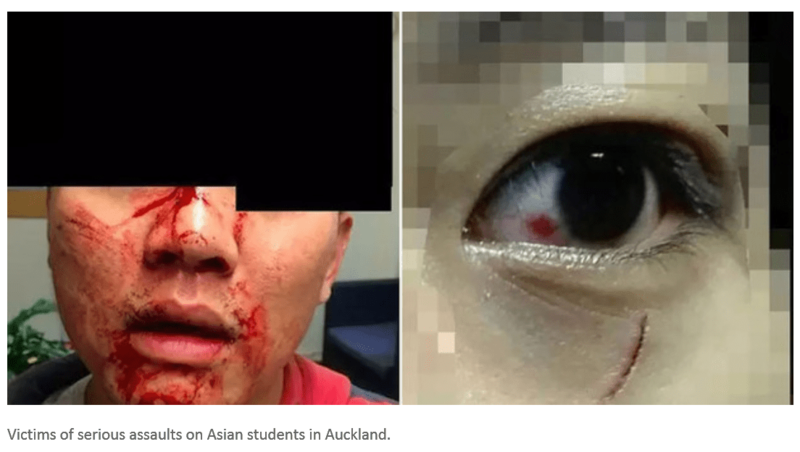 Whatever your belief the rise in violence towards Asians in New Zealand is undeniable and ugly. It might also prove damaging to our wealth in terms of tourism. Currently, there’s a contentious move to start a political party to promote the interests of our Asian citizens. And in some circles there’s a growing feeling that some kind of vigilante force might be required to protect them. As much as I empathise, I think we’d all agree that we don’t need the latter. We certainly don’t need Asian gangs that will make our patch-wearing, cerebrally challenged local thugs look like blundering dolts. Incidentally, wearing a patch is not so much designed to identify the wearer as a proud member of some mindless mob as it designed to scare people like you and me. Hitler used similar tactics and Nazi paraphernalia continues to be popular with those who seek to threaten us. That we allow these cretins to build their fortresses and operate their drug distribution networks with seeming aplomb only gives credence to the saying that evil only succeeds when good people do nothing. Which is all the more incredible when you consider that good people vastly outnumber the evil. At this point you might be thinking: Jeez I hope no Mongrel Mob member reads this or Hanlon could be in mortal danger. Frankly, I’d be delighted to discover they can read. And the day I’m scared to say what I think I’ll be dead anyway. If New Zealand’s more recent immigrants were to disappear overnight what would happen to our hospitals, dairies, supermarkets, service stations, restaurants and virtually every form of industry operating after dark? I don’t mean the hard, dirty, unglamorous, lowly paid manual work that no one else wants to do. (I often hear this comment levelled at Asians, which ignores the reality that the dishwasher or car park attendant who’s working for a pittance is probably also studying to be a doctor). I mean skilled work. Hands up everyone who has been under the care of an Asian medical specialist in recent years. Remove the Asian immigrants and this country would grind to a halt. So would Australia. And the restaurant selection would be boring beyond belief — and expensive. Ok… so suddenly there’d be thousands of jobs available for locals. But I wonder how many currently unemployed Kiwis would even apply for the newly vacant jobs let alone qualify. So … how many immigrants would be too many? Or is the problem not immigration but where they come from? Would we be happier with more Europeans? More British? Or, given that we are a Pacific nation, more Polynesians? But wait … hasn’t genetic tracing established that all Maoris and Pacific Islanders have Taiwanese ancestry? So, in fact, all Polynesians are descended from Asians. 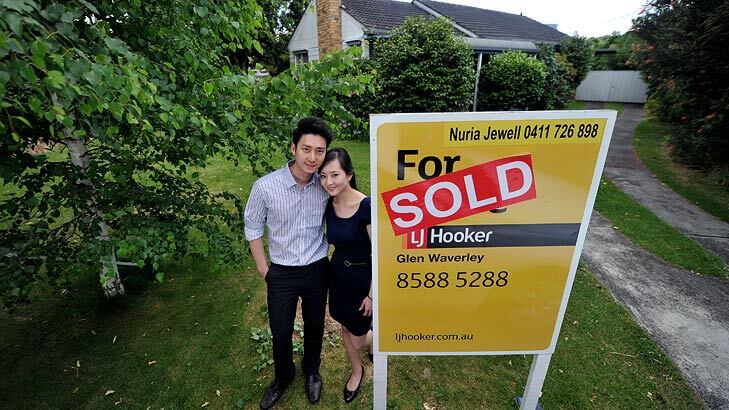 I remember over 50 years ago my mother saying she thought many of her Maori friends looked Chinese. Turns out she was right. Regardless of race, if you go back far enough all Kiwis come from immigrant stock — we are all the descendants of people who came here from somewhere else hoping to work, contribute and build better lives for themselves. And so it continues today much to the consternation of those who feel our way of life and the face of our nation is changing irrevocably for the worse. Frankly, I believe these people are pining for a time that never was and this current ‘close the gates’ mentality is nothing more than the growing pains of a nation that is finding it hard to accept that we are not British but Australasian. Regardless of what I believe the fact remains that we can’t live in the past and we can’t turn back the clock. Even if we could, how far back would we go? Back to when New Zealand was an uncrowded British outpost? Or back to when Maoris fought and ate each other. Call me old-fashioned but I’ll take Yum Cha over a human hangi any day. * John Hanlon published this piece on his website a year ago, and gave Witchdoctor permission to give it a second airing. For those wanting to know more about his place in NZ music, read Gary Steel’s piece on AudioCulture. Well said – in fact as I understand it … ALL people of European descent originally came from Asia, preceded by the second migration out of Africa. Our total population is therefore Asian in origin. Not forgetting of course everyone on Earth is basically African.